"Really polite, easy going and get a good job done"
"Helpful and focused on the customer experience." "Always do such a great job and great price too." "Excellent price and service. Very Professional." "The entire windows were cleaned thoroughly and not just the panes. Thanks guys!" "New customer, very good service, excellent cleaning and friendly too!"  We could tell you that you’ll ‘Never Forget’ us or that all other window cleaners are ‘Irrelephant!’ But really, we just want you to know that we are all about great service and reliability. Elephant Window Cleaning was started by Grant Piper who has over 15 years experience. And is now joined by Lewis Revill and Matthew Bates. All of them have a passion to provide a great service which is shown by their many happy customers! This is a great window cleaning company. Very polite operatives - I.e. no chavs. They take payment by cash or via online account.You can plan for weekly, fortnightly, monthly or whatever you wish. Great service provided. Highly recomend. New customer, fantastic service very particular about cleaning to a high standard and very professional. Would highly recommed. Thank you. Very good service. Asked for a few difference jobs to be done, always done with a smile. Many thanks Lewis for braving the 'artic' weather and completing your usual super clean of our windows. We cannot rate you highly enough! Windows always looks great - Lewis does a fab job! Friendly and efficient service. Would highly recommend! Highly recommend elephant window cleaning. Always do such a great job and great price too. Very professional and did a very good job. Windows are looking smart. Great job done by Grant today . Helpful and focused on the customer experience. I will contact them in the future . DID YOU KNOW WE ALSO CLEAN?